Today we see more and more hi-tech pieces, especially when it comes to kitchen and bathroom appliances of any kind. Modern faucets can do a lot of things and work in different ways, and if you are looking for a special one, the piece we are sharing today is right what you need. This isn’t just a faucet, it’s the most eco-friendly and budget-savvy piece I’ve ever seen! 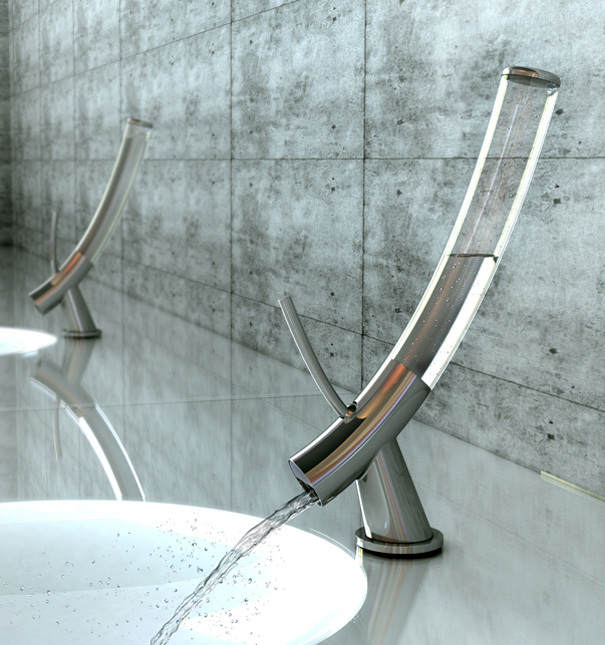 1ℓimit faucet by Yonggu Do, Dohyung Kim & Sewon Oh looks more like an elegant test tube inverted on top of a tap. The glass tube holds exactly one liter of water, sufficient for a quick handwash. The theory being that we waste almost six liters of water and use only one, while washing hands. Once the stored one-liter is used up, you have to turn-off the tap till the next one liter fills up the tube. A cumbersome rationing process that will hopefully drive home the point of conservation! The faucet also features very modern design with a sheer glass reservoir for that liter, it’s a great solution for a contemporary space and it will be an eye-catcher for sure. The stainless steel and glass used in design are rather universal to fit many spaces.